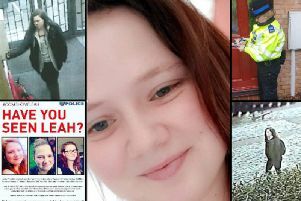 Thames Valley Police has renewed its appeal for information to trace a missing woman from Milton Keynes. Sherena Begum, aged 30, was last seen in Helford Place, Milton Keynes at about 7.30am on July 21. Sherena is known travel by bus, and has connections to Oxford, Cambridge, London - particularly the borough of Brent, Sheffield, and Luton. Inspector Joe Banfield said: “We are becoming increasingly concerned for the welfare of Sherena. “We would ask anyone who might have information as to her whereabouts to come forward, or anyone who seen someone matching her description to come forward”. “We would also ask that if Sherena sees this appeal to please get in touch with us so we can check you are okay”.